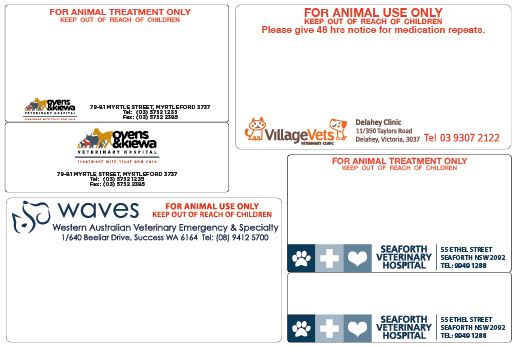 We offer a wide range of thermal, dot matrix and self adhesive labels for all veterinary dispensing systems. We can accommodate any configuration of labels you require and can help you design your own unique label. Our labels are manufactured in Australia on high quality paper with a print quality that is maintained over time without fading.